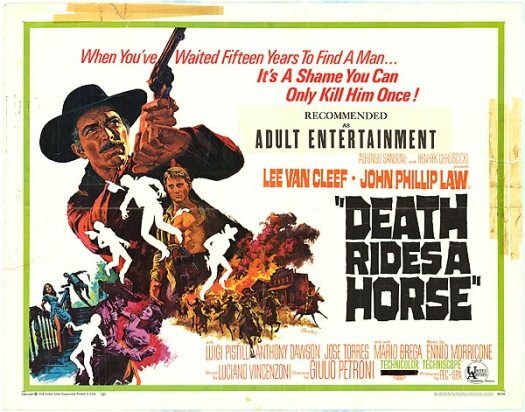 This entry was posted in Film, Film Review and tagged Anthony Dawson, Cracked Rear Viewer, Death Rides a Horse, Ennio Morricone, Gary Loggins, Giulio Petroni, John Philip Law, Lee Van Cleef, Luigi Pistelli, Mario Brega, spaghetti western, Through the Shattered Lens, United Artists. Bookmark the permalink. Agreed. One of my favorite Spaghetti Westerns!